The node generates different waveforms, that can be tempo synced and modulated. The output of the oscillator is in range of 0..1. The phase can be reset when the 'G' input has changes to a value that's different than 0. Fm: Frequency modulation input - affects Hz mode only. 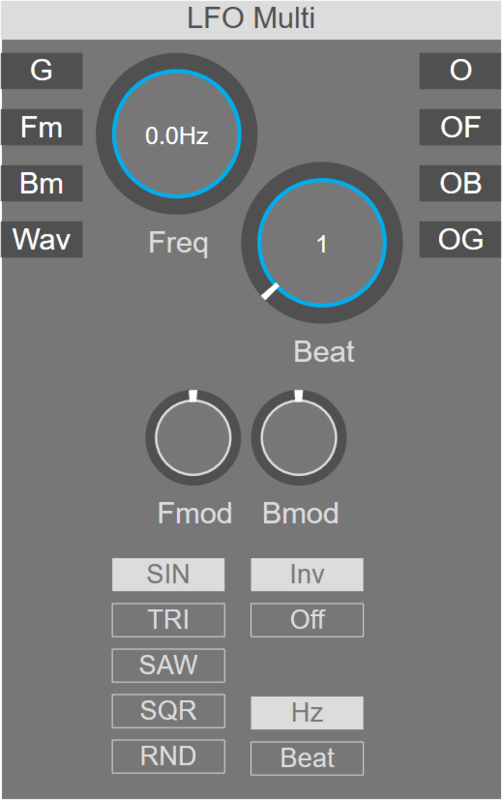 Bm: Beat modulation input - affects Beat mode only.